The National Resource Conservation Service (NRCS) is a federal agency empowered to provide rural landowners, farmers and ranchers with financial and technical assistance to voluntarily implement conservation practices that support both their agricultural operations and the environment. The partnership between RCDMC and NRCS is integral to the success of local conservation efforts and increases both RCDMC and NRCS’s ability to serve landowners. 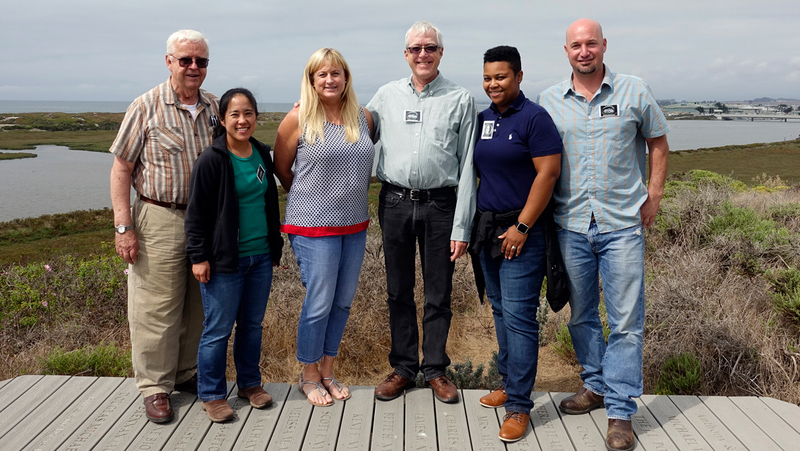 The Salinas NRCS Field Office staff serves Monterey County, working collaboratively with RCD staff to assist farmers, ranchers and forest landowners, helping them to plan and install conservation practices to improve ecological function and enhance long term value to their property. The NRCS shares office space with the RCD, making it easy for landowners to interact with both agencies in one visit. For inquiries regarding NRCS Cost-share and technical assistance opportunities, the local NRCS office can be reached at 831-975-7773. Find out more about assistance with cost-share program applications at USDA Financial and Technical Assistance.